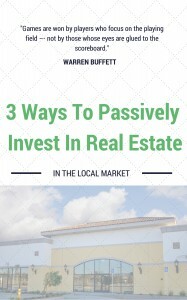 But if you’re new to real estate investing, it may seem completely out of your reach. By starting small and striving for consistent forward progress, you can do it. Here, then, are some easy ways to get started in real estate investing in Louisville. Then, to get started in real estate investing in Louisville, you need a strategy. Basically, this means deciding whether you want to buy, rehab, and flip or hold the property for rental income and growth. Each strategy, or business model, has its pros and cons, within these broader strategies are a series of sub-strategies, or niche business models. If you’re looking to get started in real estate investing in Louisville, you’re in good company. It’s one of the most common ways millionaires have been made. But getting started is, well, just a start. It can get pretty complicated (both financially and legally) pretty quick. WE’D LIKE TO HELP YOU ACHIEVE YOUR REAL ESTATE INVESTING GOALS. TO DISCOVER MORE, SIMPLY GIVE US A CALL AT (502) 509-5731 OR FILL OUT THIS FORM.